Many of my friends on the East Coast are bracing for a big snowstorm this week but here in England it truly seems like spring has sprung! After a long, dreary winter the sun has been shining and flowers are popping up everywhere. I’ve been trying to take full advantage of the weather and getting outside as much as possible-and keeping my three boys out as well. 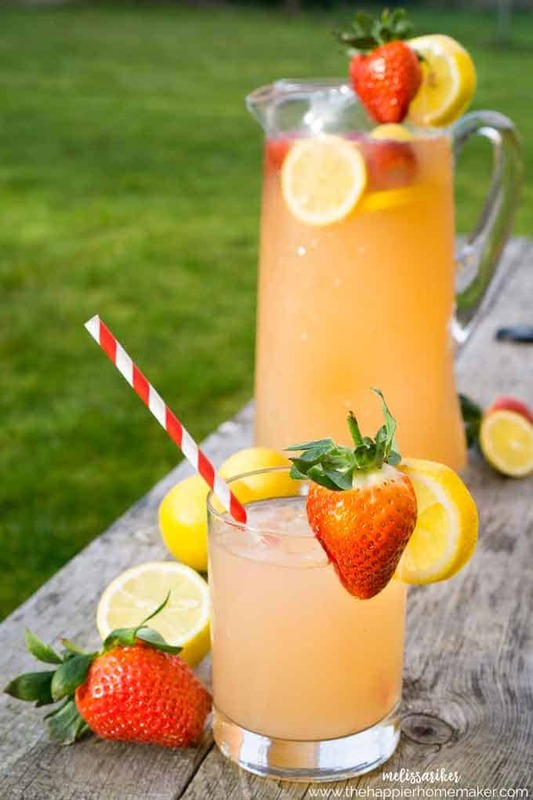 Yesterday I whipped up some easy Strawberry Lemonade for them while they were playing outside and it was a huge hit! 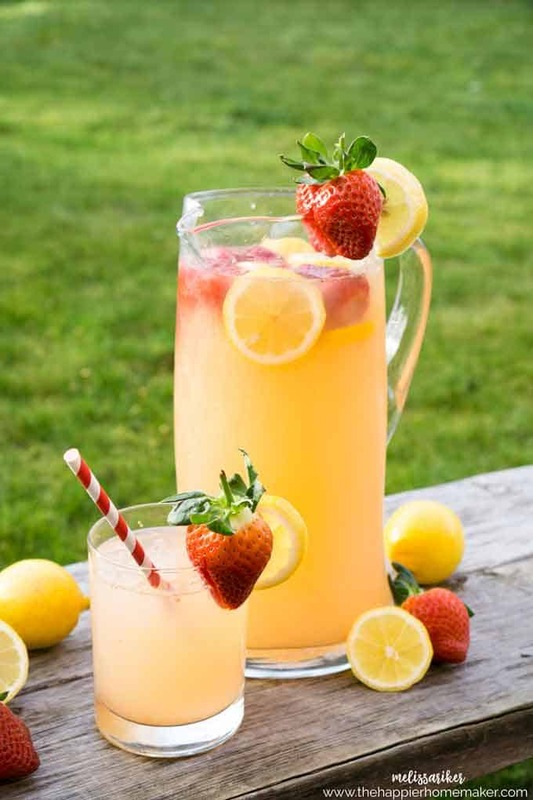 For my boys I made this with regular water but in the past I’ve served this Strawberry Lemonade with sparkling water (in champagne flutes) as a alcohol-free drink option when entertaining. 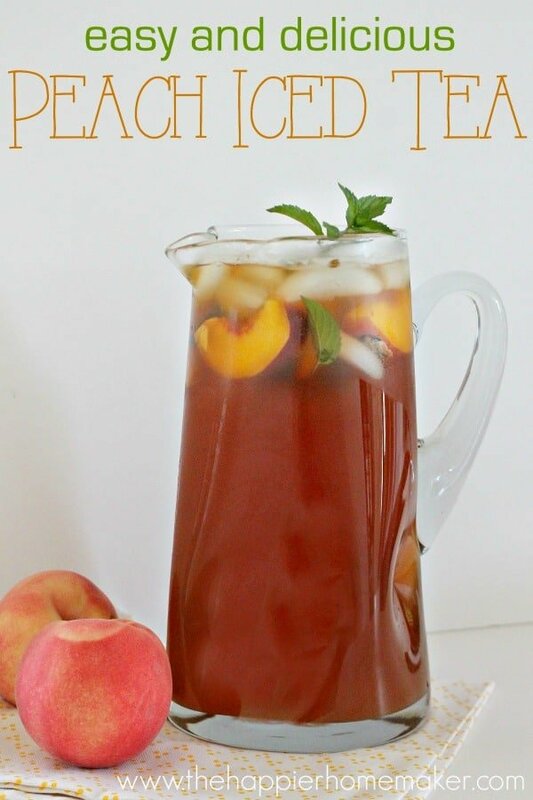 It’s perfect for summer BBQs, baby showers, wedding showers, or really any special occasion because it tastes delicious and serves up so pretty. I like to put some frozen strawberries in mine to keep it cold along with ice and of course, some lemon slices too! Puree strawberries along with 1/2 cup lemon juice until smooth. Use a sieve to strain out seeds and berry bits. Add remaining lemon juice and sugar and mix. Start with 4 cups of water and adjust to taste, adding up to six cups of water total. 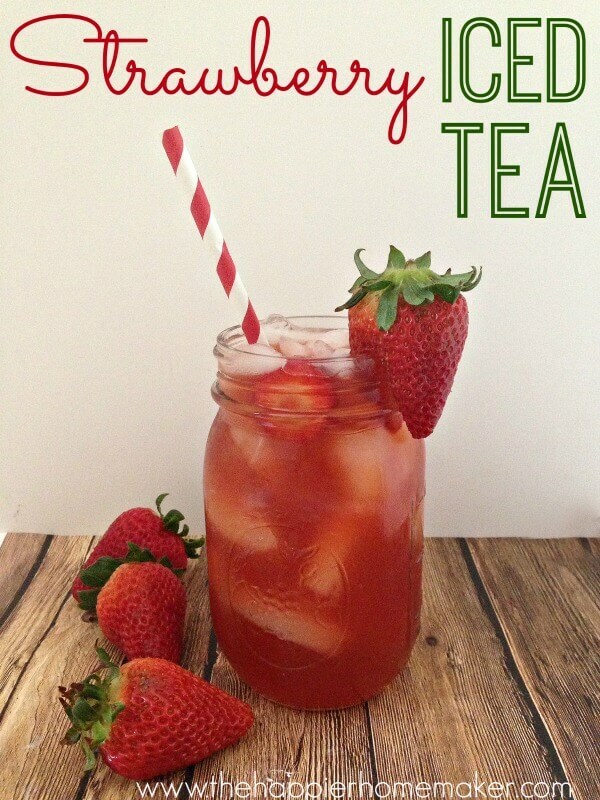 Depending on the ripeness of the strawberries and your personal sweetness preference you may want more or less water. I prefer a slightly less sweet taste so add the full six cups. Keep refrigerated, may be made up to two days in advance. 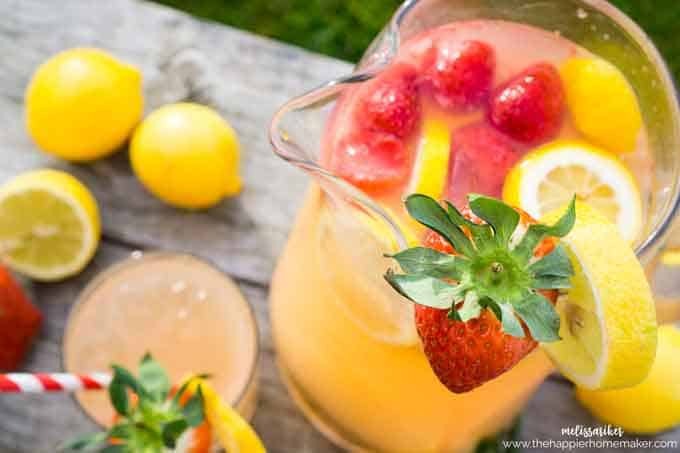 Garnish strawberry lemonade with frozen and cut strawberries and lemon slices if desired. 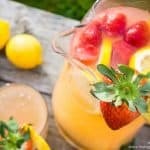 This easy Streawberry Lemonade recipe can be made in just ten minutes-perfect for entertaining! 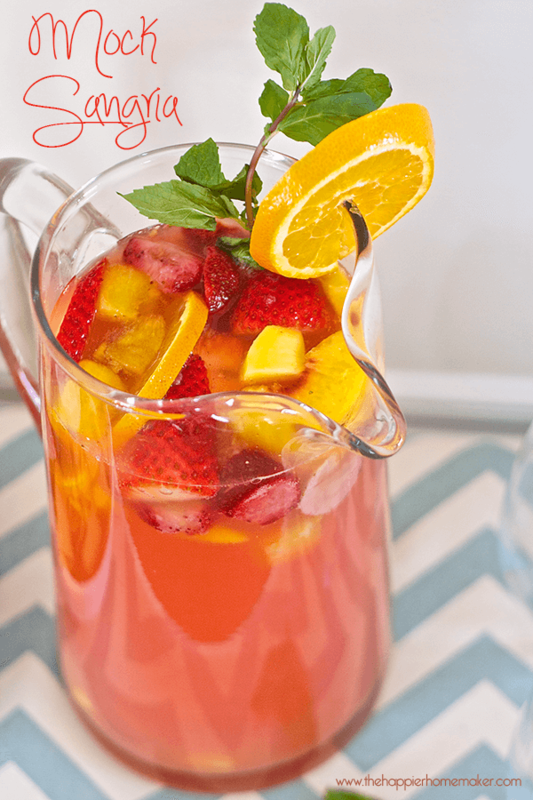 Make with sparkling water for an extra special drink for baby showers, wedding showers, or other special occasions. Puree strawberries along with 1/2 cup lemon juice until smooth. Use a sieve to strain out seeds and berry bits. Add remaining lemon juice and sugar and mix. Start with 4 cups of water and adjust to taste, adding up to six cups of water total. Depending on the ripeness of the strawberries and your personal sweetness preference you may want more or less water. I prefer a slightly less sweet taste so add the full six cups. Keep refrigerated, may be made up to two days in advance. Garnish with frozen and cut strawberries and lemon slices if desired. I KNOW spring is just around the corner, which corner, I keep looking.